What is HTPC, aka Home Theater PC, and what is it used for? Home Home Media What is HTPC, aka Home Theater PC, and what is it used for? What is HTPC and why should I want one? Connecting your HTPC to a television used to be quite difficult, but the standardization of HDMI – which can carry both video and audio – has simplified the process greatly. Older televisions may require more connections such as composite, VGA, coaxial, etc. If you're building an HTPC currently, you will most likely want to make sure to stick to HDMI – or possibly DVI if your setup allows for it. Media players are the more common alternative to home theatre PCs. 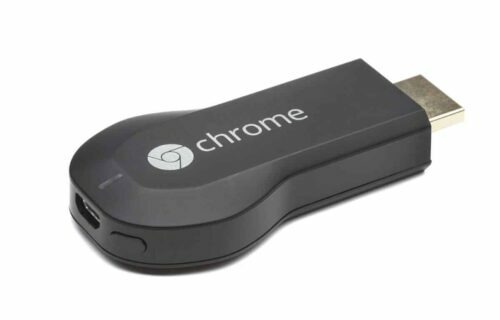 These vary from small streaming devices such as Chromecast or Amazon Fire TV to larger entertainment devices such as gaming consoles, AppleTV, etc. While media players are a simple option compared to an HTPC, they don't have quite the capabilities – and especially openness of available options. Chromecast is an example of a media player. While a media player will tend to rely on the applications and services designed for it, a home theatre pc will allow you to access any streaming website, video rental service, etc. For more about media players you should check out our review of Raspberry Pi vs Amazon Fire vs Kodi Media Center or the review for Chromecast vs AppleTV. Is it possible to watch normal TV (Cable, Satellite, etc.) with a HTPC? Yes! If you're using cable television you'll have a few more options available than satellite users, but both can be routed through your home theater pc with the use of TV tuner cards. These tuner cards are more recent when it comes to satellite television, but cards for cable have been available for a while. There have been some troubles receiving HD channels via satellite tuner cards, but the same issue isn't as prevalent for cable users. 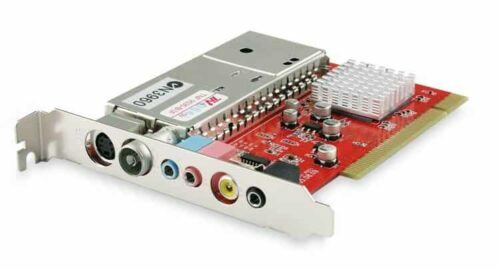 A TV Tuner Card can be used to get live TV on a computer or HTPC. Another very famous TV Tuner is HDHomeRun Prime from SiliconDust. This can replace your Set Top Box from your cable provide and present a nice interface to view and record TV content. It can also stream channels to other devices, including Kodi devices, on your local network. Local channels are also available for use on your HTPC. These over-the-air (OTA) broadcasts are 100% free and are normally in high-definition. You will need some sort of antenna to get these channels… Lifehacker has a short tutorial on selecting the best OTA antenna for building an HTPC. A home theatre personal computer is a great solution for anyone that is looking for an all-in-one video solution. They're reasonably affordable and extremely powerful and versatile. Hopefully this short write-up explain what is a HTPC and helps you decide whether or not you need one. Kevin Williams is a professional copywriter and self-taught programmer. He has been obsessed with researching new technologies since he was a child.